"As the design season is in full swing for me, I have started designing for DAN300, Daniella Rosen and bluebird & honey Summer 2011 ranges and naturally find myself frantically searching blogs, pondering reference books from across the globe and spending what seems to be days flicking through magazines. I'm like a sponge collecting my favourite colours and prints and trying to figure out what I will do next. 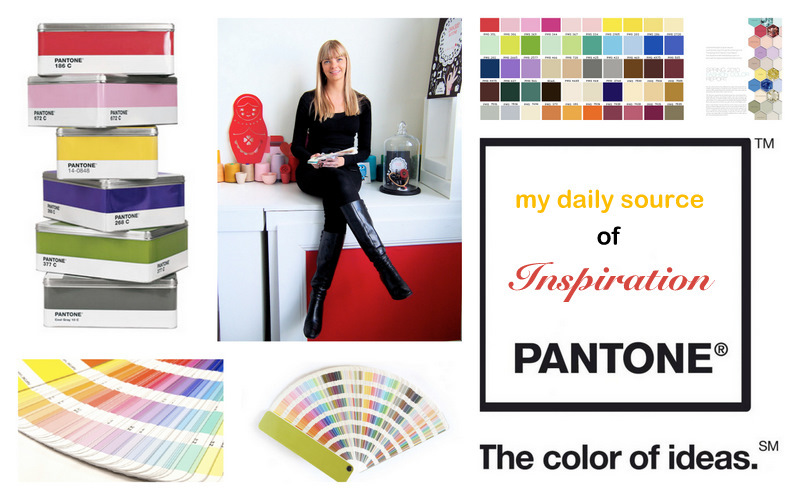 "But nothing keeps me more inspired than the daily flick through my beloved pantone book. It seems to be an endless supply of inspiration. Everyday I find yet another combination that has taken me by surprise. "For me as a designer it's all about colour, colour gradient and colour blocking. It's the road I work my way through to feel inspired to create. "For some the pantone book is purely a reference book, the guide that translates cmyk into solid colour and vice versa and somehow makes your computer understand how to reproduce solid colour on screen. It's genius. For me, however, the colour charts act as a bridge between what I like and what I like in combination colour wise. "It's like a colour map that unlocks visual riddles for my ever changing taste. "What I love most is everyday I discover something new, and it usually leads to a new design, a new pattern and some seasons a new era."